Elation, sadness, calm, rage and confusion; these are the tools Mush uses to propel its puffball protagonist through colorful platform puzzle-worlds. Strange that all I feel while playing this award-winning Windows Phone 7 game is joy. It's been quite some time since I've checked into the Xbox Live on Windows Phone 7 game scene, and not really all that much has changed. There's a handful of new titles and several incredibly late ports of games other mobile platform players have been playing for years. Microsoft isn't about to allow just anyone to slap an Xbox Live logo on their game, so releases are few and far between. Microsoft's scrutiny might be frustrating, but it means outstanding titles like Angry Mango's Mush aren't lost amidst a sea of lesser games. That would make me sad, which according to game mechanics would make me much heavier than normal. In his default calm state, Mush is a brown fluff ball capable of rolling across the ground, hopping, and not too much else. Draw a smile on the screen and he inflates into a brilliant orange sphere, floating ever upwards. A frown brings him back down to earth. Switching between these emotional states is essential in traversing the colorful kindergarten mural landscapes of Mush. Joyously float over obstacles, then drop to the ground to push a boulder onto a switch, opening up a new path. Motions controls come into the mix later in the game, when confusion (turning the phone upside-down) and anger (shaking the device) add to the challenge as well as the animation of the player. 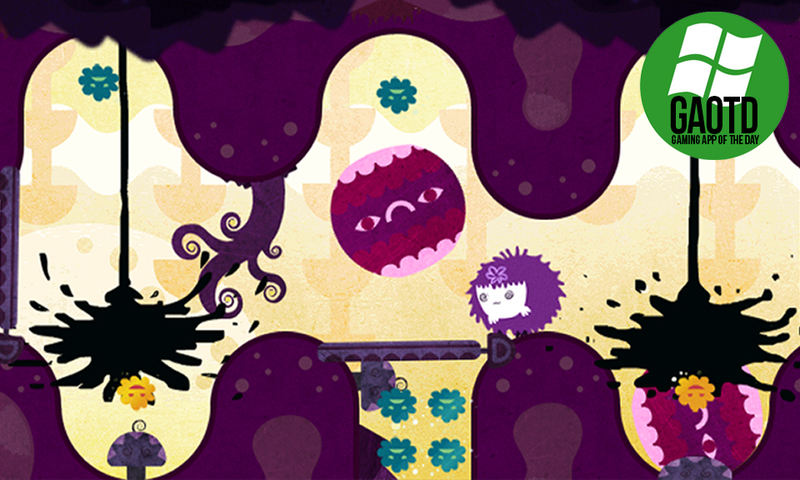 Mush is not a fast game, and with color-coded collectibles lining every path it's not particularly difficult. It's a sweet and sincere little snack that's charmed its way onto my list of the most delightful experiences Xbox Live on Windows Phone 7 has to offer.